ONE is spearheading a campaign to end Ebola. 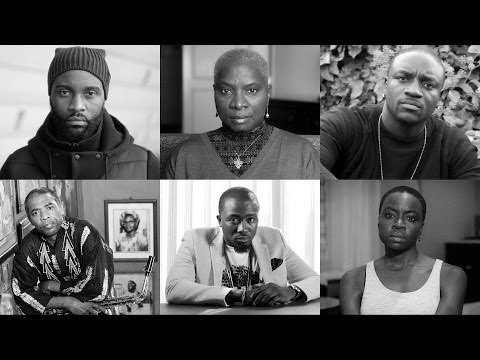 The initiative features African artists, Ice Prince, Judith Sephuma, Diamond, Danai Gurira, Magasco, Desmond Elliot, Akon, Victoria Kimani, Tbo Touch, Fally Ipupa, Waxy Dey, Mafikizolo, Femi Kuti, Angelique Kidjo, Praiz; Liberian health care workers Louise Gaye and Dr. J Soka Moses, and Ebola survivor Prince Williams Dahnyea. According to ONE, Ebola is devastating parts of West Africa. And every day we continue to wait – for funding to reach the ground, for nurses and doctors to be deployed, for the shattered medical services to be rebuilt - more people die. Tell our leaders it’s time to act. They're calling on all of you to sign a petition to raise awareness and action from our leaders. The petition urges world leaders to take center stage in combating Ebola by providing more trained personnel, materials, financing and international coordination to Ebola.